2013 Audi Q5 Premium With decades of building beautiful luxury cars, Audi has always been a leading premium brand. 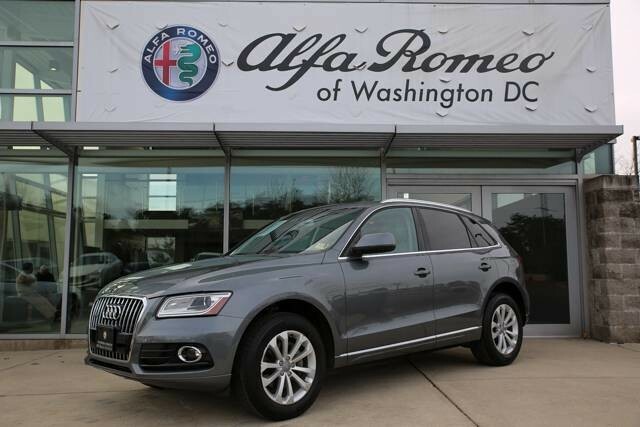 This 2013 Audi Q5 Premium Plus continues that legacy. With like-new tires, clean CarFax, non-smoker, and with all the features you would want, this Q5 provides everything you would want and need. This Audi has features like navigation, heated seats, panoramic sunroof, Bluetooth, rear-camera, and so much more! Audis 2.0 liter engine, all-wheel-drive Quattro system put them on the map for both safety and performance in all weather conditions, while still being able to manage 28 miles-per-gallon on the highway. If youre looking for a beautiful, user-friendly vehicle for the whole family at a great price, this 2013 Audi Q5 Premium Plus is for you!